When I think back to my childhood, I don’t remember growing up in a world of violence. I don’t remember bombings or mass murder. Maybe my parents kept me sheltered from it. If they did, I am grateful. I had the luxury of a carefree childhood. I had the luxury of growing up without worry or fear. The innocence of my childhood ended on September 11, 2001. I was 25 years old. I will never forget the devastation and the loss, I felt on that day. Hours glued to the news, watching, crying, wondering why. Such acts of hateful violence and mass murder against the innocent was something that belonged to another generation. And suddenly it belonged to mine. And in these last few years, it seems like there is no safe place for our children. Not at the movies, not in our schools and not standing by the sidelines watching a marathon. It’s cruel that this generation of children have lost their sense of innocence. It is heartbreaking that little Martin Richard died so violently when all he wanted was people to stop hurting each other and live in peace. At 8-years-old, Martin Richard, only a year older than Norrin, already knew the world could be a horrific place. 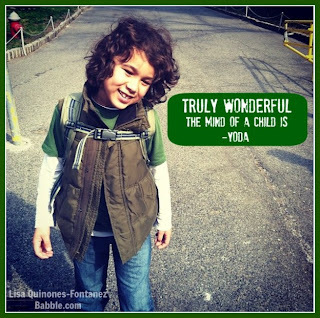 Read the rest of the post on Babble - I Envy His Innocence or Copy & paste the link into your browser http://bit.ly/YzcBHs. April 21, is Kindergarten Day – the celebratory birthday of Friedrich Froebe – the man who started the first kindergarten in 1837. Kindergarten is a major milestone for children and their parents. The first day of kindergarten is one most don’t forget. I remember my first day of kindergarten. My mother put me on the school bus. It was the first time I was separated from my mother. I don’t remember crying. I don’t remember my mother crying. Maybe she did after the bus pulled away, though I very much doubt it. It was a different time then. Besides, when my mother put me on the bus, she knew I’d come home and tell her every detail of my day. 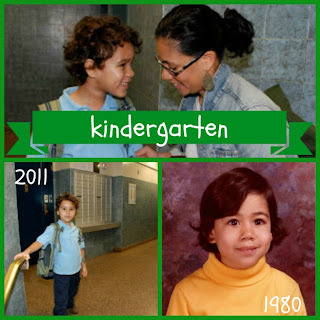 I loved kindergarten. I still remember my teacher’s name: Ms. Kaplan. I loved the bus. Driving through different neighborhoods, singing songs, laughing with friends. It was one of the happiest school years of my life. That was a long, long, long time ago. I will never forget my son, Norrin’s, first day of kindergarten. Last night I should have been working on my thesis. Instead, I decide to procrastinate by watching The Story of Luke. Luke, 25, is autistic and lives a sheltered life with his grandparents. But his world is suddenly turned upside down when his grandmother dies and he is forced to live with his dysfunctional relatives who have no patience for him or his senile grandfather, who they quickly force into a nursing home. Luke is left with his grandfather’s final semi-coherent words: “Get a job. Find a girl. Live your own life. Be a man!” For the first time in his life, Luke has a mission. He is about to embark on a quest. I really enjoyed watching The Story of Luke. I laughed and I cried. And while there were parts that made me sad and a little angry - it gave me hope. Hope that The Boy could find a place in the world. Hope that someone in this world will want to understand him and give him a chance. There was so much of Luke that reminded me of The Boy (whose middle name happens to be Luke, after the Jedi, not the apostle). What I loved about Luke is his confidence, he knows who he is and refuses to let others diminish or devalue his abilities. Luke, played by Lou Taylor Pucci, not only has a innocent charm about him, but this sense of determination and will to succeed. The cast was amazing! Cary Elwes was fantastic, (I've had a crush on him since The Princess Bride - who hasn't?) as Uncle Paul - he was honest and warm. And Kristin Bauer (True Blood) as Aunt Cindy was perfect. One of my favorite lines of the movie is when she says to Luke, "I don't need to understand you, but it's good to have dreams." 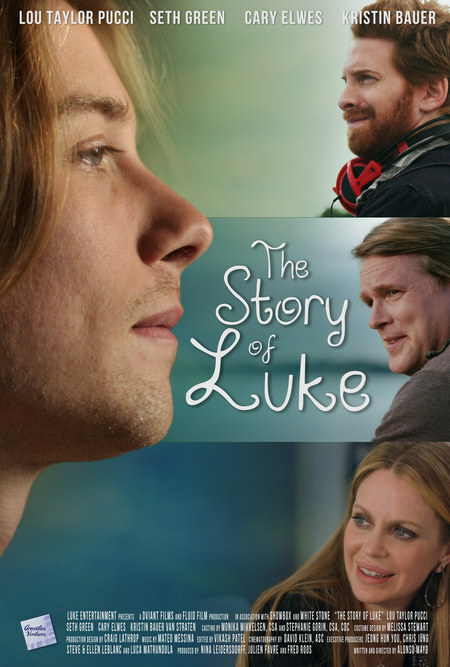 The Story of Luke is an honest portrayal of family relations - family is complex. It's difficult to be the parent/caretaker of someone with a disability. It's hard to watch your parents grow old and care for themselves. It's hard to grow old and have to depend on your children. It's hard on a marriage and/or family when it has to take on the role of caregiver to a relative - The Story of Luke doesn't shy away from any of that. Family isn't always tolerant, accepting or understanding of family members who are elderly or have a disability. The responsibility of them is often thought of as inconvenience. I loved watching the whole family dynamic transform with Luke in their lives. While it's obvious they know nothing about autism and have had limited contact with him, by the end of the movie, the family has not only accepted Luke as a member of the family - they love him. More importantly, they need him. Luke's relatives become compassionate, and it is the compassion that comes with day to day experience. The Story of Luke goes beyond being a movie about autism, it's about understanding, acceptance and compassionate for others. One of the key takeaways from The Story of Luke is that "Everybody is good at something." Everyone - regardless of the their disability - can do something. Everyone has something to contribute. And everyone's contribution is important. Disclaimer: I ordered (paid for) The Story of Luke on demand. I have not been influenced in any way, all opinions are my own. If you know of someone in education, not just special education, or who deals in issues of disability, family advocacy and school administation, parenting or patient care, then one or all of these events may be of interest. 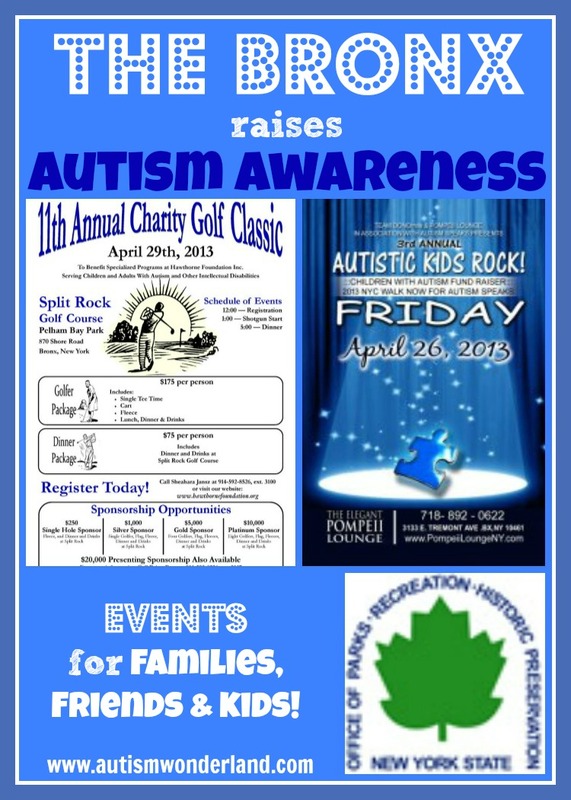 A panel on Autism Education at 6:30pm. 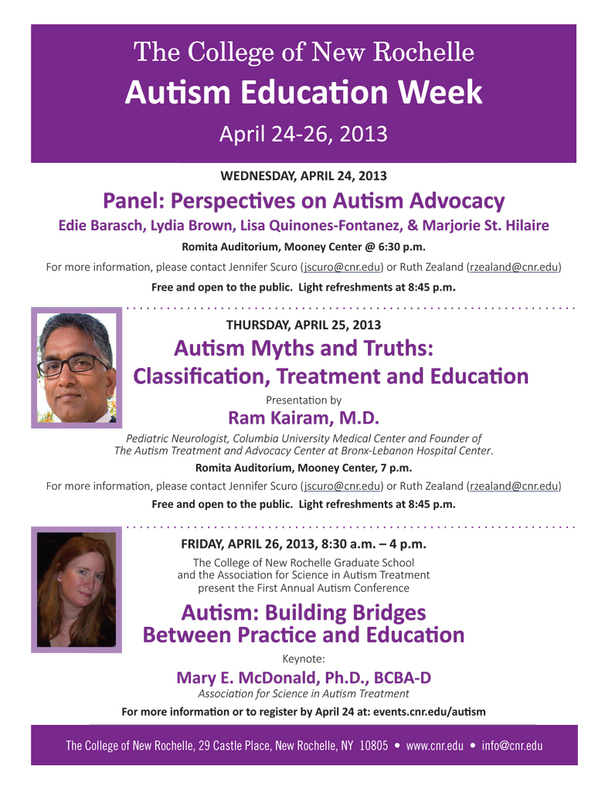 Ram Kairam, MD on Autism Classification and Diagnosis at 7pm. These evening events are on our main campus in Romita Auditorium. All-day teacher education symposium on Autism. You can register online on the cnr.edu website. 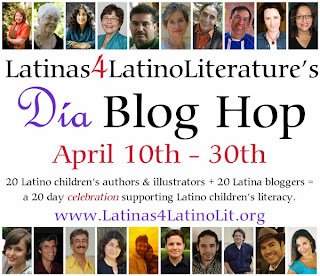 4/15/13 5pm update: In light of the Boston Marathon Tragedy, Latinas for Latino Literature and Junot Díaz have postponed tonight's Twitter Party, until further notice. In the meantime, the victims, survivors, and their loved ones remain in our hearts and prayers. If you're a fan of Junot Diaz, you're not going to want to miss this! 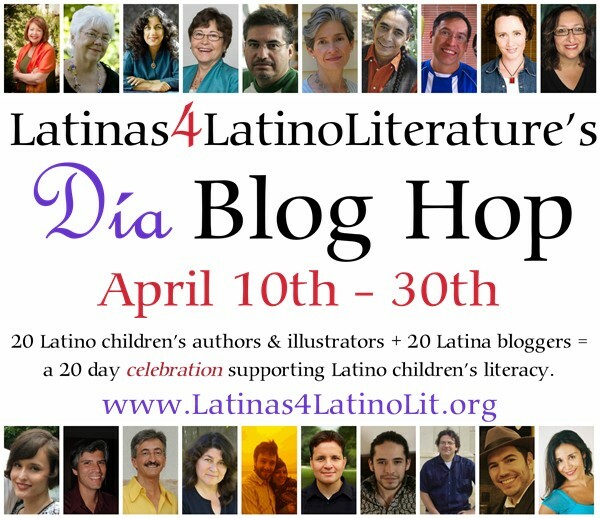 #L4LL “Día” Blog Hop Guest Writer F. Isabel Campoy, "Friendship"
In honor of Día de los Niños, Día de los Libros - the Latinas for Latina Literature are hosting a blog hop and special giveaway. 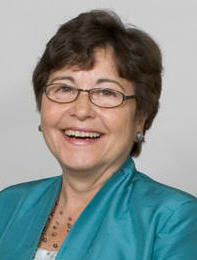 I am thrilled to host F. Isabel Campoy - sharing a lesson she learned from a autistic boy named Kio. And a beautiful poem. Enjoy. I have the great privilege of knowing a genius. He lives in a different continent and I cannot communicate with him in his first language, but Kio opens the window of his mind in so many ways that I have learned to understand, admire, love and value, his unique take at life through his actions. It is a challenge for me to catch up with his level of knowledge and understanding of his fields of interest, but that is precisely what attracts me to his personality. Kio lives in Europe and by his ninth birthday he could translate, from English, complex manuals about how things work. English by the way, is his second language. Kio’s parents are young professionals with demanding social and economical responsibilities and Kio’s personality has been a difficult path to understand, first, and a unique opportunity for them to venture into less traditional paths for parenting and organizing family life. 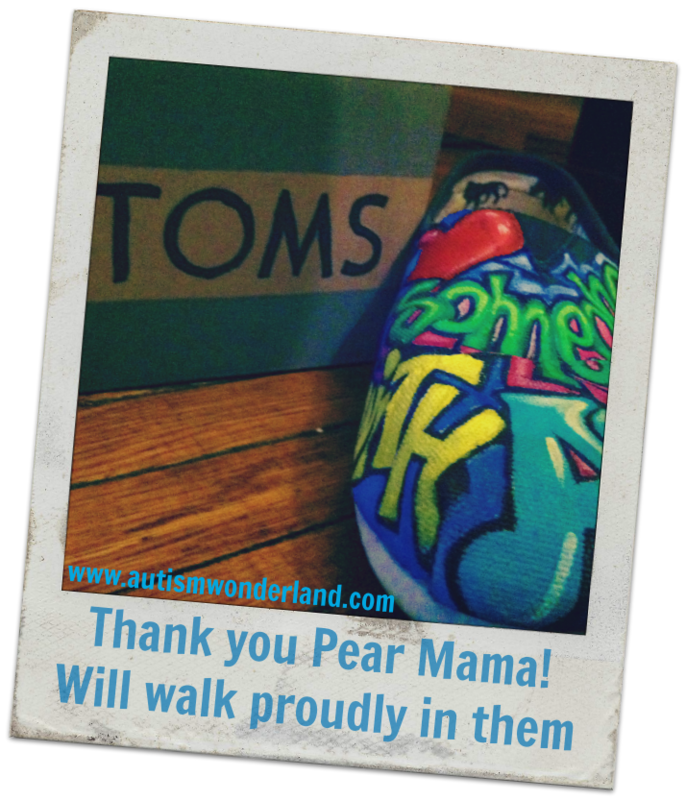 Through them I became interested in knowing more about what doctor’s called his “disorder” and I have read articles, blogs, and first person narratives of professionals and parents who are part of the “Autism Spectrum Experience.” Kio belongs to the group of children who live with Aspergers. When I was invited to write for this blog I felt I couldn’t share any intelligent opinion, first-hand experience or interesting reading advice for the growing community of families who live the Autism culture on a daily basis. At first I wanted to learn facts, figures, everything available about the field but then I realized that my approach could only be the one of a friend, teacher, children’s author, who walks along with all the parents in this path of unknowns. There is one thing though that I can do, and that is to help raise the awareness of this community wherever I go and whenever I am speaking to teachers, parents, and children. It takes a village, yes. It takes each and every one of us to create the paths of inclusion, to share spaces and activities, no matter how new those experiences are for all, to learn to understand silence, solitude, separation, in order to create new ways of communication, care, and camaraderie. I have reached an age in which I finally understand how precious life is. I took it for granted for sixty years and now I cannot stop admiring our human capacity to adapt and to invent, to wander and wonder and to marvel at each new turn of any living creature. My pen is my only weapon to conquer the minds of my readers. I put it here to the disposal of the cause for insatiable hope. And let us carry a book in our hands on the way THERE. Any kind of book, as Kio has taught me. down an endless trail of mystery. hidden in a well-told tale. of the wild and free. of your own epic tale. Rich rewards await for those who dare. F. ISABEL CAMPOY is the author of numerous children’s books in the areas of poetry, theatre, stories, biographies, and art. As a researcher she has published extensively bringing to the curriculum an awareness of the richness of the Hispanic culture. She is an educator specialized in the area of literacy and home school interaction, topics on which she lectures nationally. Her extensive writing, of over 150 titles, has been recognized with the Laureate Award from San Francisco Public Library, the Reading the World Award, the Junior Library Guild Award, among others. She is a member of the American Academy of Poets as well as of several organizations for the advancement of multicultural awareness and world peace. 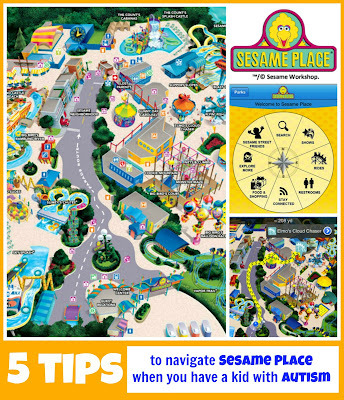 Back in February I attended the Toy Fair and I got to see so many new cool toys and products. One of my favorites was meeting the innovative folks of Constructive Eating. The second I saw their booth, I knew it was a product The Boy would just love. Mealtime has always been challenging for us. Getting The Boy to sit at the table without 20 toys to keep him busy. 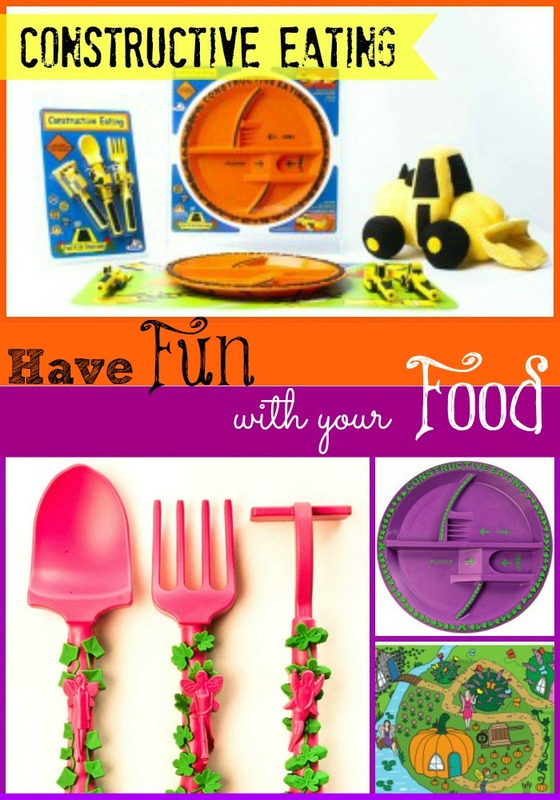 But Constructive Eating utensils have made things a little bit easier. 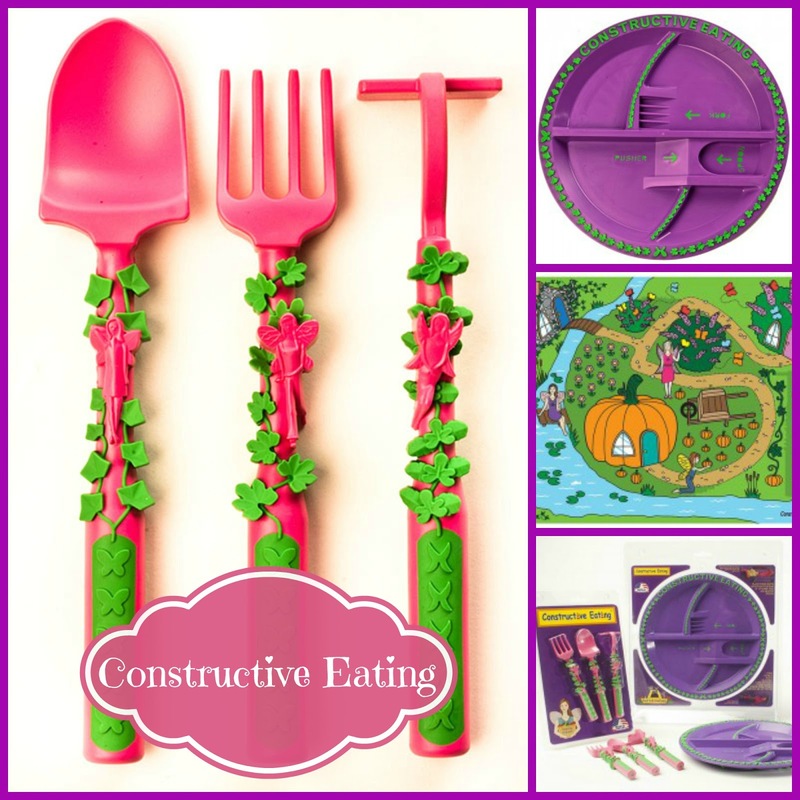 Constructive Eating utensils serves multiple purposes - it allows your child to play and eat their food at the same time! 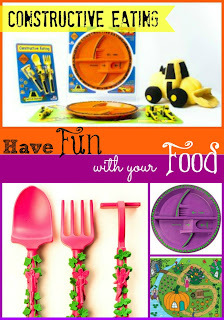 The utensils - especially when used with the plate - helps kids work on their fine motor coordination skills, while providing your child with the ability to use their imagination while they eat. 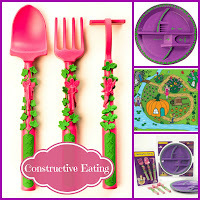 The Constructive Line utensils integrate the functional portions of construction equipment into the tines of a fork, scoop of a spoon, and blade of a pusher. 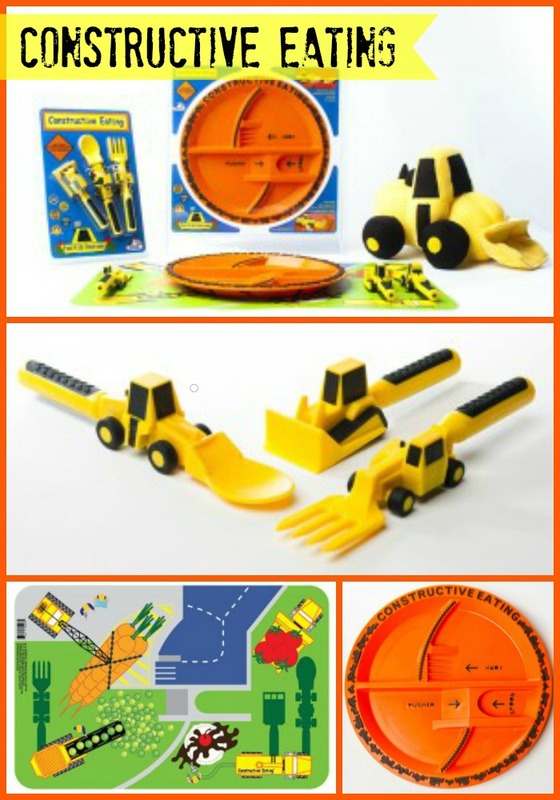 Constructive Eating currently offers three unique products: the fork lift fork, front loader spoon, and bulldozer pusher. Each utensil is based on a tool used in the garden: rake (fork), shovel (spoon) and hoe (pusher). Perched on each handle is a garden fairy...created by Constructive Eating. All material used are FDA approved. Products contain NO: Lead, Bisplenol A (BPA), PVC and Phthalates. Disclaimer: I was provided with a complimentary set of Constructive Line utensils. All opinions are my own. Who painted these beautiful TOMS? Between us, I have a bit of a girl crush on this super artsy, super craftsy, super fabulous Latina Cali blogger. I love love love her blog, her voice, her DIY designs that I know I'll never make - because I am not craftsy. At all. 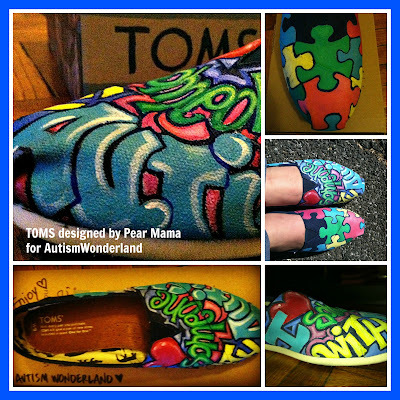 And when I saw she makes custom-painted TOMS, I knew I needed a pair for Autism Awareness Month. 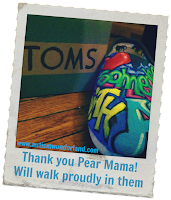 So if you're interested in a pair - Denise aka Pear Mama is the go-to gal! 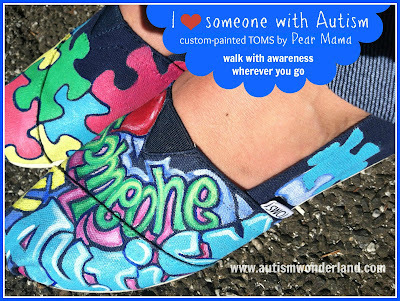 For more info on her custom-painted shoes click HERE. Disclaimer: I happily paid the going rate for these shoes. All gushing is genuine, all opinions are my own. The Boy can hardly wait for Sesame Place Opening Day! It's nice to see him looking forward to something. Just wanted to share some reminders if you'll be joining us on the BIG DAY or any time throughout the season. 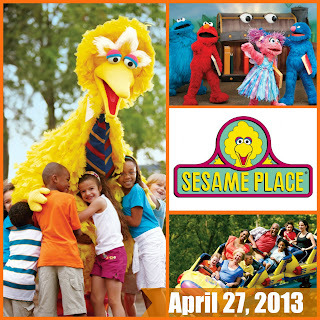 Be the first to arrive at Sesame Place on Opening Day, April 27, 2013 and get the royal treatment! 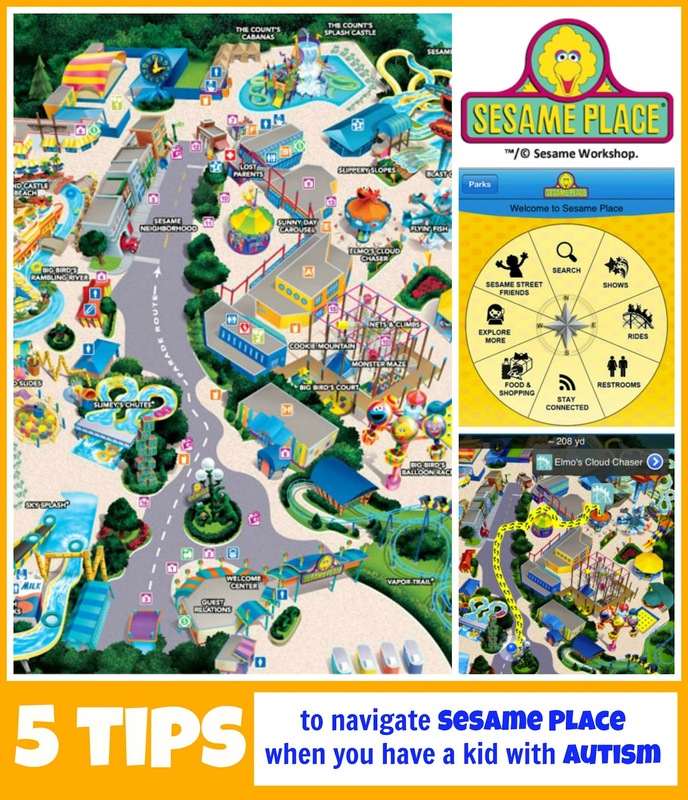 Guests are the VIPs and will be treated to a character celebration followed by a meet and greet with all of your Sesame Street friends throughout the park! Look for contest details to be the parade Grand Marshall on opening day. So...how many days left to opening day? April is Autism Awareness Month and The Bronx is once again doing it's thing to raise awareness. Searching for a story to highlight, the wonderful folks at News 12 discovered my blog and asked if I was interested in being interviewed! Yesterday afternoon, reporter Amy Yensi paid us a visit. The show aired Wednesday, April 3 at 9:30 pm during the Health segment of the News. The Boy got such a kick out of seeing us on TV. Happy News 12 featured me on their news site - click HERE for the link BUT they did not include the video portion. 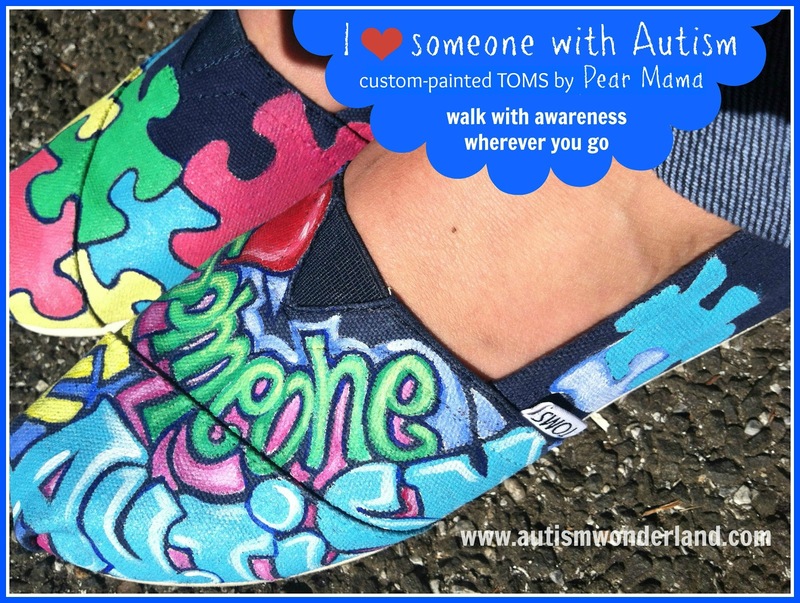 April is Autism Awareness Month and as a proud Bronx resident, I am proud that the folks of my borough are working hard to raise awareness. I hope you come out and support. Would love to see you at any of these events. But if you can't - hope you think about donating what you can. Bring the kids out for games, arts & crafts and giveaways! Complimentary Buffet, Raffles, and much much more! If you can't make the event but you'd like to donate - click either link below. 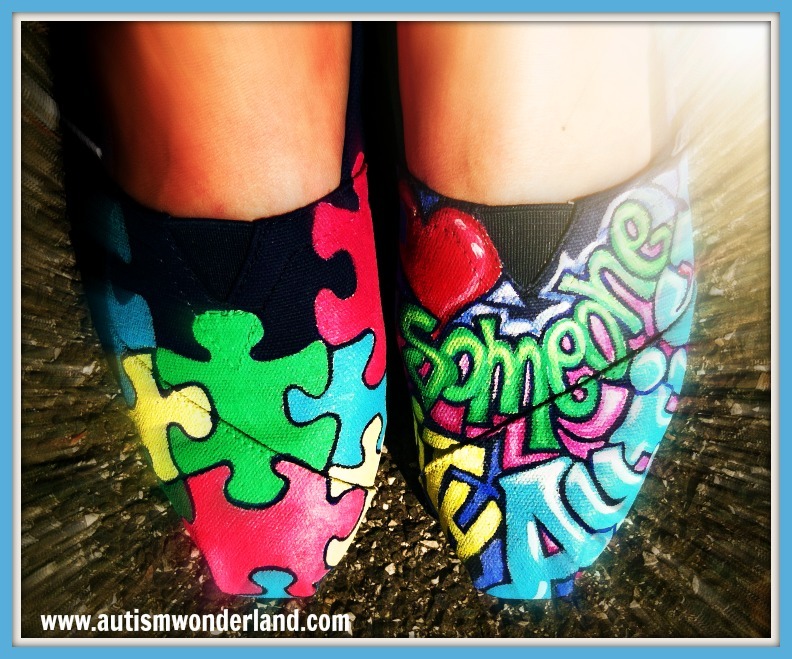 If you have a New York City Autism Awareness Event you'd like to share - feel free to email me at autismwonderland@gmail.com.